A LiveUSB allows you to use or install Linux from a bootable USB provided that the computer will boot from a USB device. A special program, such as Startup Disk Creator, is used to easily create a LiveUSB, but newer distributions often do not install properly, resulting in an unusable USB. During my usage, Linux Mint 15 and Xubuntu 13.04 would display notifications such as “No disk space remaining,” boot to an empty desktop, crash during LiveUSB creation, or crash halfway through the Linux installation process when booted from a LiveUSB made by Startup Disk Creator. Even MD5 hash checks on the USB would fail. It turns out that the problem was with the Startup Disk Creator program. The USB was not being created properly–for whatever reason–despite trying several different USB devices. 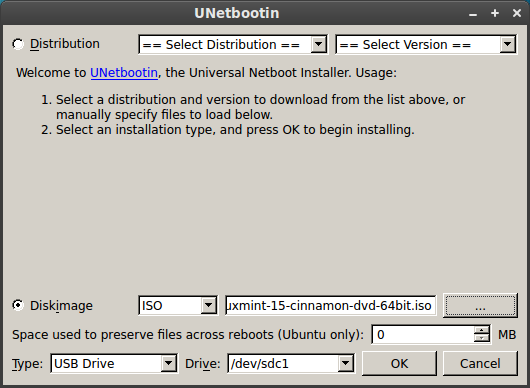 UNetbootin (Universal Netboot Installer) is a better program that installs a Linux distribution to a USB device or partition properly, and it works much, much better than Startup Disk Creator. The results are reliable, and the created LiveUSB functions as it should by booting Linux without errors and completing the Linux installation without crashing. 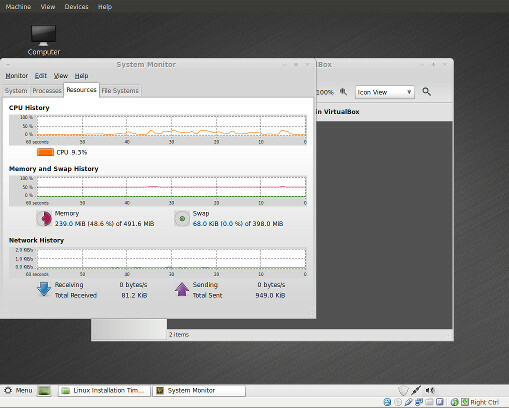 In this example, we are going to create a LiveUSB from a Linux Mint 15 Cinnamon ISO. While not every Linux distribution has been tested, those that were used booted and installed Linux without any problems. Therefore, any Linux ISO should work, so download the ISO of your choice before beginning. How long does it take various Linux distributions to install, login, and shutdown in VirtualBox? A few of today’s Linux distributions (along with a few older ones) were installed and timed using a regular stopwatch to mirror real-world usage times, and here are the results. Most modern motherboards manufactured today contain an updated BIOS called UEFI (Unified Extensible Firmware Interface) that is intended to replace the older BIOS (Basic Input/Output System) that has worked reliably for the past several years. My experience with Linux and UEFI-based motherboards has been an exercise in disappointing frustration. In an attempt to fix what is not broken, UEFI adds a new hurdle for Linux users to jump over.